This article discusses the processes and techniques that can be used in measuring forces in a force shunt. There is a need to understand the concepts of force sensors and transducers and force measurements. Force sensors are devices that respond to or detects physical force caused by a physical load, weight or pressure. A force transducer is then a force sensor that is able to transform this physical force into an output electrical signal (voltage or current). Examples include piezoelectric transducers, strain-gauge load cell, pneumatic and hydraulic pressure transducers. Force transducers are also integrated into process control systems when incorporated into an open-loop control system, calibration is necessary so as to obtain accurate results. Calibration gives a characteristic curve which is a plot of the transducer response (output signal) to the applied stimulus (force). Once this is established for the transducer, then it can be reproduced even after installation. These devices need to be interfaced with the machine producing the force or a point of application of the force needs to be set up. Therefore, the force measurement technique used will require a specialized type of device, thus leading to the concept of force measurement techniques. This can be categorized into two, which are direct force measurement and force shunt measurement. Direct force measurement: This requires that a large part of the process force flows through the transducer or force measuring instrument. This simply means that the measuring instrument is installed directly in the force flux of a separate device.An example is in the installation of a load cell, a direct force measurement will require the use of mounting kits fixed through bolts, screws, and nuts. Hence, the mounting kits must have flat surfaces and be rigid. Force Shunt Measurement: This concept which is the center of this article can best be understood by defining the word shunt. According to the Merriam Webster dictionary, Shunt refers to a means or mechanism for turning or thrusting aside. In electronics, a shunt is a device that creates a path of low resistance, so as to allow or divert the flow of electric current through another point in the circuit. Simply put, the electric current will flow through the shunt because it has low resistance. Therefore, a force shunt can be defined as a device that offers a low resistance to the flow of force such that a small part of the process force flux or a useful amount flows through it. In our case study, the force being considered is a mechanical force which can be created by physical load, weight, and pressure. As can be seen, a force shunt is different from an electrical shunt as the bulk of electricity flows through a short circuit but the concept is still the same. Hence, by measuring the force along the force shunt, the applied force can be determined in both magnitude and direction. Direct force measurement offers benefits of high accuracy but sometimes it is of greater advantage to measure force in the force shunt, hence special sensors needs to be designed precisely for these applications. There are different methods used in the industry for determining force. These methods include lever-balance methods, force-balance methods, hydraulic and pneumatic pressure measurement, an acceleration measurement, the use of elastic elements etc. Each of these methods has evolved over the years, however, the most common ones are carried out based on the deformation of the structure inside the instrument that measures the forces. They involve the use of elastic elements. This article discusses two major closely related deformation methods and they are the use of strain gauges and the use of strain gauge transducers. Strain gauges can be installed on the machinery/object to directly measure force. Its two categories are bonded and unbonded strain gauge. For the purpose of measuring force in the force shunt, the bonded strain gauge is the most appropriate. Bonded strain gauges have practically no influence on the structure of the object under test. They do not affect the stiffness and the dynamic behavior of the test object as a whole. The figure bellows shows a full-bridge strain gauge. The gauge to be used must be carefully selected in a way that it compensates for parasitic effects of bending moments or torsion, compensate for temperature shifts and other undesirable effects. In the installation of the strain gauge on site where the object to be measured is situated, the gauge is carefully attached/bonded to its body. This must be carefully and properly done so as to ensure that only the tensile and/or compressive forces acts on it and not any bending moments. Furthermore, the output of the strain gauge bridge as shown in figure 2 below depends on the gauge factor of the strain gauge, the strain level as well as the supply voltage. This is quarter-bridge (a single strain gauge) setup and it is expressed mathematically as follows. The bridge output signal can be increased by a controlled weakening of the area on the object’s body surface where the strain gauge is attached. However, this affects the object’s stiffness, dynamic behavior, and stability. Strain gauges transducers have the strain gauge as its underlying mechanism along with other component parts such as the elastic element (also called the structural member) and the housing unit. The strain gauge[s] are fixed onto the elastic element so that this elastic element acts as a primary transducer that converts the force exerted by the test object into the strain. Then the strain gauge[s] acts as a secondary electrical transducer that converts the strain to changes in electrical resistance. 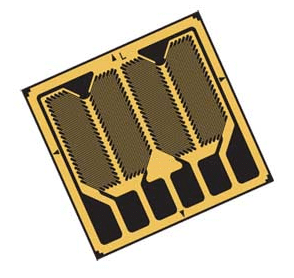 On the transducer device, the strain in the area of the installed strain gauges is bigger than the strain value between the two screwed connections or load application points. Figure 3 below illustrates this better. This shows that the strain generated by the force applied to the transducer is concentrated on the zone where the strain gauge is attached. The gauge is mounted so that the long lengths of the conductor are aligned in the duration of the force acting on the test object. The approximate excessive increase in strain can be expressed mathematically as follows. This expression is based on ideal conditions with the assumption that the zone around the application point is strain-free. However, in practical terms, this is not entirely correct. Furthermore, from the mathematical expression, it becomes clear that the strain transducer’s sensitivity can be adjusted by means of the length ratio of strain zone (the ideal strain zone is at the area where the strain gauge is mounted) and the distance between the screw connections. This then means that a very high sensitivity can be achieved theoretically. Furthermore, strain transducers need additional integrated electronics so that the raw output signal can be conditioned (filtered, isolated and amplified), so that calibration can easily be done. Temperature compensation can also be performed digitally or by the use of self-temperature compensating strain gauges or dummy gauges. Tacuna systems strain transducers without inbuilt electronic circuits can be easily connected together in parallel since each device has a high bridge resistance of the same value. 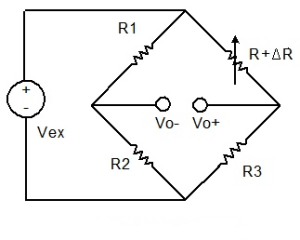 This high bridge resistance will ensure that no excessively high amplifier supply current is needed, hence a less costly amplifier device can be used. A parallel connection between these transducers will enable strain effects that need to suppressed be compensated for. Where the press forces acting on a column are to be measured, the only proportion of strain that is relevant is the one resulting from tensile/compressive loading. Assuming this setup is such that two single point load cells are connected in parallel and mounted on a column at the same height, opposite from each other. Now, when a bending load is applied to the setup, one transducer will experience a higher strain while the other experiences a lower strain. Hence, only the tensile or compressive portion of the strain is measured and the bending gets compensated for. Tacuna system load cells are of different types and are not limited to just single point and double-ended load cells. They can be mounted in a force shunt setup by screws. Additional corrosion protection and coating can then be applied to the whole setup. It is suitable for highly filigree structures with a small force applied to the gauge as the other method would create excessive force shunts. The installation process which requires bonding, wiring, protective coating etc. hence, causing increased installation time. Calibration of the force shunt is required also resulting in time consumption. The advantages of using strain transducers include. It offers for easy installation and it is rapidly deployable. 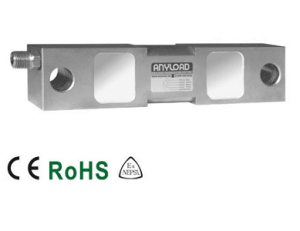 This is due to the fact that our load cells can be screwed readily onto existing structures. The load cell output can easily be interfaced with electronics amplifiers and conditioners. These electronic devices are readily available to be purchased with the load cell. Temperature compensation has been accounted for and the range can be seen in the load cell datasheet. The disadvantages of using strain transducers include. Calibration in the force shunt is still required. Our calibration services are readily available and this services can be purchased in conjunction with a load cell. Calibration is the process of comparing a measuring instrument against an authoritative reference for the same type of measurement. The force measurement system needs to be calibrated before or after installation. In calibrating a direct measurement system, it is advisable that no force shunts should be presented and it should be noted that the characteristic features of the instrument such as stiffness and dynamic behavior affects the overall design and can require the use of very large structures for measuring large force vectors. Load cells can be calibrated with very high precision before mounting in the field (also called formal calibration), however, for force shunt measurement, calibration should be done directly on the object in the field right after installation is carried out. Finally, a wide range of load cell product types and designs are available to choose from for any of your applications. Each product has a data sheet that shows its uncertainty, accuracy, sensitivity and other important specifications that are needed in designing a force measuring system in the force shunt. The calibration procedure will involve the measurement of the force when zero-load is applied on the shunt. 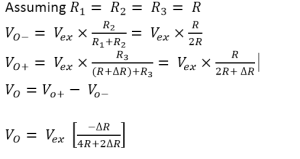 Also, the output is measured when the maximum rated force is applied to the shunt. The necessary adjustments can then be made to the procedures until the output of the measurement instrument matches the nominal value specified in its datasheet. When calibrating the force shunt, conditions such as temperature, alignment of loading and humidity should be controlled as much as possible. Calibration is highly important especially in the case of determining the magnitude and direction of the force in the force shunt. This means it helps to ensure that the instrument is providing an accurate indication of the actual force in the object being tested. Furthermore, instrument error or systematic errors caused by the inappropriate installation of the setup can easily be noticed and catered for before the whole system is made fully operational. At the end of the calibration procedures, a calibration certificate is provided that contains the documented readings that can then be referenced for other purposes and can as well be presented to the client. This article explains the various concepts of force measurements and the useful methods based on our product line that is readily available for measuring forces in the force shunt. The two methods discussed have very minute or close to no effects on the dynamic mechanical behavior of the structure being monitored as a whole. It also shows the superiority of strain-gauge based instrumentation technology for very high accuracy measurements. Instrumentation, Transducers and Interfacing, B.R Bannister and D.G. Whitehead. Instrumentation Reference Book, Walt Boyes.